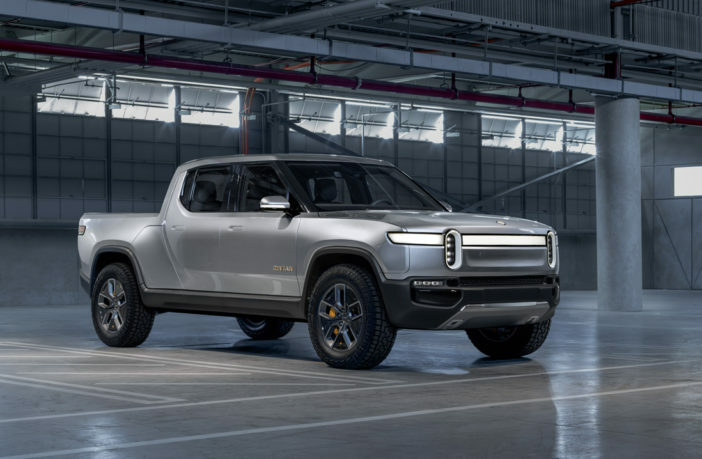 New EV manufacturer Rivian has revealed details of its first vehicle, an all-electric five-passenger pickup truck. The R1T features a claimed driving range in excess of 400 miles, a wading depth of 1m, and will feature a quad-motor AWD powertrain setup tailored to off-road motoring. The R1T is the first of two vehicle announcements from Rivian – the R1S all-electric SUV will be announced at AutoMobility LA in late November. “We’re launching Rivian with two vehicles that reimagine the pickup and SUV segments,” said Rivian founder and CEO RJ Scaringe. 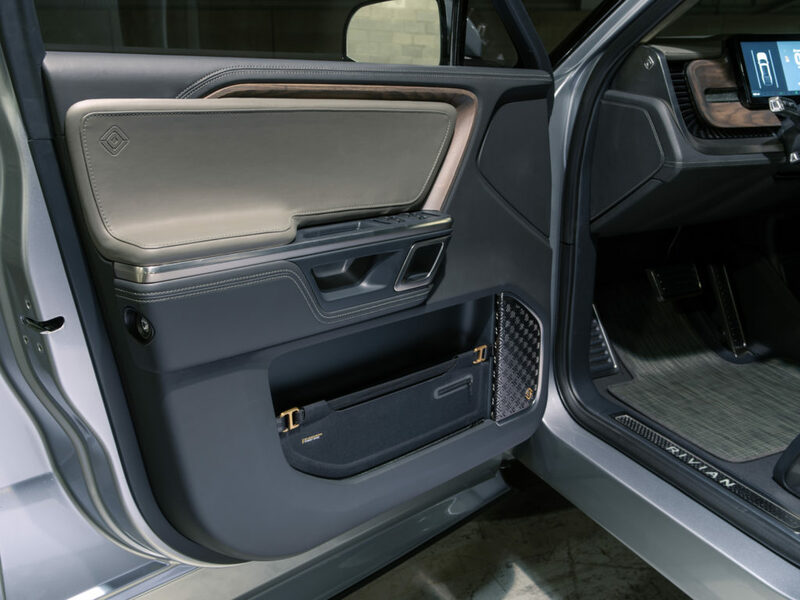 “I started Rivian to deliver products that the world didn’t already have – to redefine expectations through the application of technology and innovation. 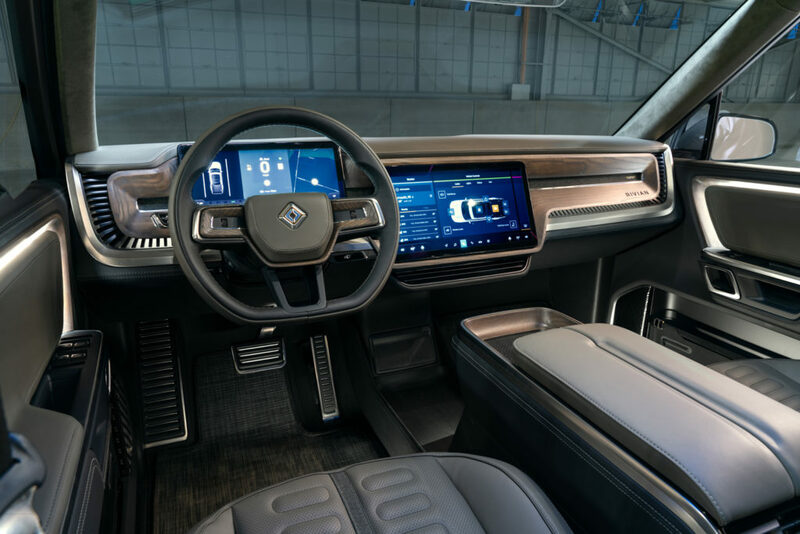 Starting with a clean sheet, we have spent years developing the technology to deliver the ideal vehicle for active customers. This means having great driving dynamics on any surface on- or off-road, providing cargo solutions to easily store any type of gear, whether it’s a surf board or a fishing rod and, very importantly, being capable of driving long distances on a single charge. 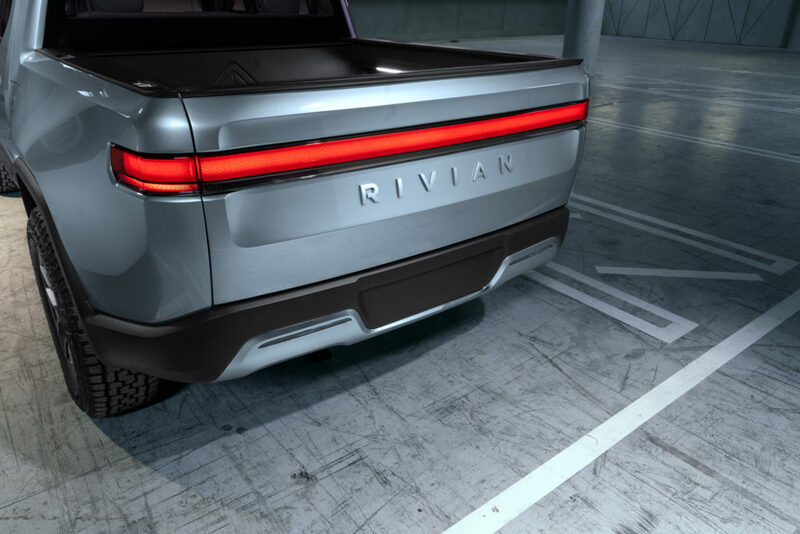 Both vehicles will be built on Rivian’s skateboard platform, which packages the battery pack, drive units, suspension, braking and thermal systems below the height of the wheels. This creates a low center of gravity that contributes toward stability and agility. The suspension architecture features unequal length double wishbone at the front, and multi-link suspension at the rear. Adaptive dampers and adjustable air suspension make it possible to adapt the vehicle for highway, on-road performance or off-road capabilities. The vehicles will be powered by Rivian’s quad-motor system, which delivers 147kW (200ps) to each wheel, enabling torque vectoring. With 3,500Nm of grounded torque per wheel (14,000Nm for the total vehicle), the R1T can sprint to 60mph (97km/h) in 3 seconds. 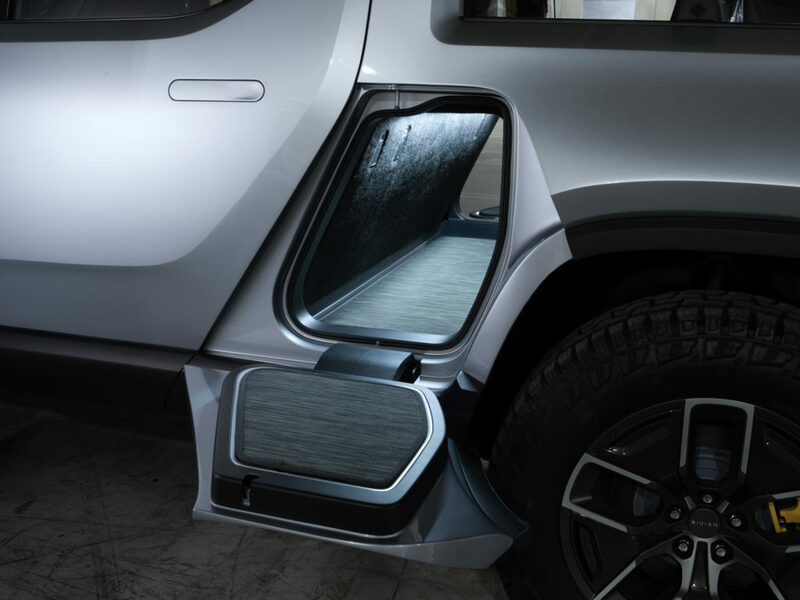 Rivian’s battery module and pack have been designed for demanding vehicle applications – they include tough underbody protection and an advanced cooling system. 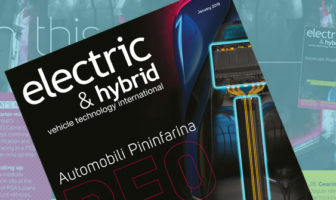 Adaptive control algorithms learn driver behavior, optimizing specific battery management strategies. Three battery sizes are planned – 180kWh and 135kWh systems will be available at launch, with 105kWh available in the following months. The battery is designed to work with fast charging up to 160kW, enabling approximately 200 miles of range to be added in 30 minutes. Deliveries of the R1T will begin in late 2020.